The trade secret exclusion in the requirement to disclose all chemicals in fracturing fluids is one of the most contentious issues surrounding shale oil and gas. The public appears concerned that under the veil of trade secrecy industry could use chemicals harmful to human health. Some of the concern is as simple as the need of the public to know what goes in the ground. Why should there be trade secret exclusion? This question comes up a lot. One reason is that legitimate trade secrets are protectable under the NC Trade Secrets Protection Act embodied in Article 24, Section 66-152 of the North Carolina General Statutes. The other reason concerns the public desire for the industry to create means to use green chemicals. If a company succeeds it ought to be afforded intellectual property protection rights available to all citizens. One means for such rights is patents. The neat feature about patents is that 18 months after filing, all the contents are published whether or not the patent is eventually granted. Rarely would an invention make it to commercialization within that period. So the public will in effect be informed in good time. Sometimes a company may choose not to patent and to merely hold the innovation as a trade secret. An example is the Coca Cola formula for the syrup. This constitutes intellectual property and it would not be fair to require disclosure which would enable their competitors to copy them. This appears to be the basis for Section 66-152. In these cases companies have stringent procedures to prevent inadvertent public disclosure. Any company claiming the trade secret exclusion ought to be required to submit an affidavit asserting that the claimed item received that same care and that the details had not already been made public. This requirement could be expected to limit the exclusion claims to genuine trade secrets. So, what are these trade secrets anyway? Without exception the trades secret exclusions are sought by the service company or a supplier to them, not the oil and gas company who will use the products in the well completion process. In many cases the oil company is in the dark regarding the precise formulation. But increasingly the medium to larger oil companies are asserting their purchase power rights to demand fuller disclosure. Apache Corporation, for example, now requires the “elimination of diesel, BTX, endocrine disruptors, and carcinogens” as constituents in fracturing fluid. This is important because service companies know that the customer has choice. This is especially so in shale gas operations, which use “slick water” formulations containing fewer chemicals. Everybody pretty much uses the same chemicals. They may use somewhat different formulations to assert differentiation. So, the recipe may be the secret. If that is the case it is not a public health issue because the ingredients themselves are fully disclosed. Why is the non-disclosure of the recipe not a public health problem? It is not an issue because the proportions of what went into the ground are not terribly relevant. What goes in is not what comes out. Some constituents are consumed, such as biocides, some are partly reacted and some return in the form introduced. So, more important is to analyze the water that flows back and not worry too much about the proportions of what goes in. The ingredients that are going in inform us on the reaction products that may emerge and we can analyze for those in the return fluid (flowback water). The way forward: The use of standard chemicals allows for high quality shale gas wells. Companies are becoming increasingly open on this point because of public concern with non-disclosure. Halliburton has posted the precise ingredients it uses. I examined the Marcellus list and each of these has a Chemical Abstracts Service (CAS) number. This number uniquely identifies the chemical and the properties are easily discerned. Virtually all service companies use some variant of these very chemicals. There is no pressing need for substitution of these with others except to make them greener; more on that below. The trade secret exclusion would apply only to substitutes with use advantages. Such a claim will be very hard to substantiate in shale gas wells; the standard chemicals work just fine. However, I recognize that this fast moving sector will be in continuous improvement, especially in recovering a higher fraction of the hydrocarbon in place. This is particularly the case in liquids rich plays and also shale oil wells in the Bakken and elsewhere. But the improvements must not compromise the environment or public health. Full disclosure of the CAS numbers for substitutes ought to be the goal. Oil and gas companies have a lot of choice when it comes to service providers and ought to be discerning on this point. Greener chemicals are desirable and innovation in this area ought to be granted trade secret status so long as the requirements of the North Carolina General Statutes are met. But since by their very nature these ingredients will be environmentally benign, the secrecy will almost certainly be in the recipe. As discussed above the recipe ought not to be of concern to the public especially when benign ingredients are involved. To the extent the secret is in the green chemical ingredient, it ought to receive trade secret status after some verification. In conclusion, oil and gas companies ought to strive to employ only those service companies prepared to fully disclose the chemicals used, including the CAS numbers of each. In every case the recipe ought to be accorded trade secret status by the state if claimed, without subjecting it to any process for verification of claim. Nice work. I completely concur with your observations and conclusions. The OSI, oil service industry, should openly disclose both the ingredients and recipes for their downhole fracturing chemical mixes. It is one of the 12 points made in my book. Recipes can provide competitive differentiation and as such ought to be accorded business secret protection. The bulk of the concerns are with the fate of flowback water. The concentrations in flowback are minimally related to those going in. So the public good does not override the business imperative in this case. Your point, as always, is well made. John seems to have stated my wish rather well in that I agree that even the recipe ought be disclosed when talking about unproven techniques with these potential ramifications. No known problems is not nearly the same as no problems. There is nothing on the shelves of my pantry that hasn’t disclosed its ingredients. The argument regarding “trade secret” is specious. Your allusion to Coca-Cola is a case in point. The entire world knows what the ingredients are but it hasn’t yet, that I’m aware of, been successfully replicated. Your call for ingredient lists at the minimum has been well received by those with whom I’ve discussed the issue. The fact that any employee has an unqualified right to know all of the ingredients under federal law seems to eliminate the “trade secret” worries regarding that list. Halliburton has listed not only ingredients but concentrations on the site you linked to. I was heartened to see a company go so far. There have been so many lies, omissions and half truths, as we as purposeful distortions, that I and a good percentage of the public simply doesn’t trust the industry. And I agree with Martin 100% that “No known problems” is far from the same as “No problems”. Also, as I’ve stated before, the risks involved with fracking at going to be borne by all of us, whereas the vast majority of the benefits will go to a limited number of people. This is especially true once the export terminals are all on line and the price of NG goes towards the world price and we lose whatever arbitrage that we had. Great piece, you tee things up so nicely. In my case, as a business person who has helped develop business plans and go-to-market strategies for companies trying to develop systems and techniques to clean produced water from hydro-fracturing, I have one view. As a concerned member of the public and relative neophyte/layperson regarding chemistry, I (might) have another view. This is my problem, of course, but you have helped solve it. Everyone has an agenda, but I am of the mind that there is no way that the gas is not coming out of the ground, so then the question becomes how to do it responsibly and safely. I once sat in a room not to long ago with senior execs from Exxon, BP, Chevron, and others, all of whom wanted standards and some of whom favored full transparency about what went into fracking fluid, as they claimed that nat gas “wild catters” were giving the industry a bad name. More standards and transparency meant they could close the gap on technology (chemistry in this case), public opinion, and policy, so they could go about their business of getting gas out of the ground. One member commented that the production of crude oil to auto fuel was a much dirtier process than nat gas fracking yet there is no public outcry there and we all more or less drive unabated… not sure if that is true or not but this was a senior scientist from Chevron if I recall. Yes, fuel from crude oil is a dirtier process than natural gas from fracturing. This is especially true for the heavier crudes from Canada, Venezuela and Mexico. Also the product is dirtier. 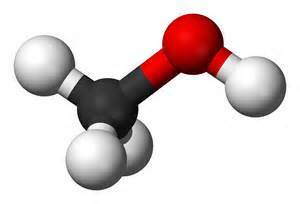 Diesel from natural gas is free of sulfur and burns more cleanly. You are currently reading The Chemicals Disclosure Conundrum at Research Triangle Energy Consortium.